Nintendo Power magazine ceased publishing at the end of 2012. It was a nostalgic time full of sad goodbyes and fond memories. 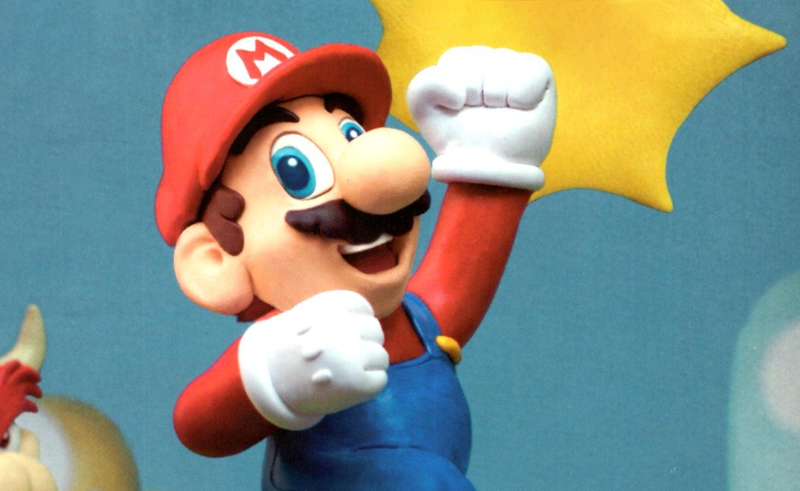 Its last cover was even a call-back to the first issue, where Mario pounds his fist triumphantly into the air while standing on a mushroom. But today, on the five-year anniversary of its death, Nintendo Power has risen from the ashes in the form of a new podcast. It's hosted by one of the magazine's former Editor-in-Chief, Chris Slate, who talks about the Nintendo Switch's first year with Kit Ellis of Nintendo Minute and Damon Baker from Nintendo of America. He also discusses how The Legend of Zelda: The Breath of the Wild's director, Hidemaro Fujibayashi, and producer, Eiji Aonuma, helped shape the look, feel, and mood of the game. Basically, "We wanted to make Link a lot cooler," they said during the interview through a translator. In part this was meant to come through with Link's back story in Breath of the Wild. Some of the darker tones in that compared to past games in the series were supposed to give the protagonist more of an edge (less "go-getter" and more "consternated"), a sentiment that's carried through to the most recent DLC where soft-boi Link gets a bad-arse chopper. Aonuma originally sent around the idea for a motorcycle prior to the game's first DLC thinking it would be fun to ride around in that giant world but everyone reacted negatively. He kept badgering Fujibayashi and the rest of the team throughout post-development and eventually convinced them for the second expansion. "I remember because Aonuma's desk is right across from mine," said Fukibayashi, "and every so often I'd just hear 'the bike, the bike,' and so then I was like 'ok fine, maybe as a final reward in the game that might not be a bad idea.'" Coming off the mixed-response garnered by The Legend of Zelda: Skyward Sword, the team working on Breath of the Wild wanted to take Link's actions from the previous game and refine them so they felt more natural. Specifically, climbing and paragliding came about because the developers wanted Link to always be able to move forward. Starting out they tried having Link jump or hop over small obstacles, but didn't like how it looked and felt, so instead they settled on the game's climbing ability. Other elements of the game also came from the open world premise, like camping and cooking. Originally there was a hunger system where Link would need to eat constantly to stay healthy and energised. "It was just a bit annoying to play," they said. "It felt more like a chore." So instead they settled on small stat bonuses and how food was presented. "We wanted for players when they're adventuring to see these delicious foods and want use them," said Fujibayashi. The end result was a way for players to explore the world and feel like an adventurer without necessarily all of the tedium that goes into hiking for weeks on end in the real world. Though it retains the classic Nintendo Power branding, it's not clear how often Slate's new podcast (a "passion project" as he calls it) will put out new episodes. He also points out that the format is still evolving. For now you can listen to the podcast on Soundcloud and elsewhere.